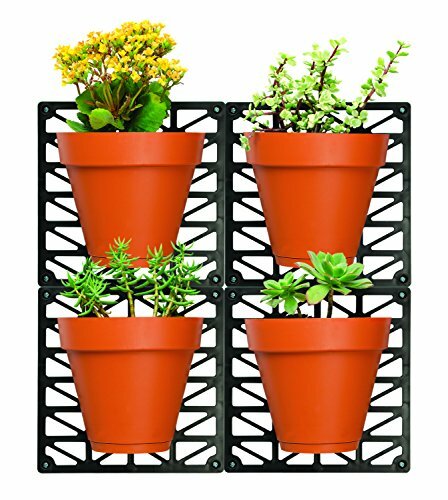 Liven up your walls with the Wall Mount Planter Set from Ideaworks. Great for both indoor and outdoor walls, mount up real plants for your ideal floral décor. The set includes 4 wall mounts and 4 planters, and it can be configured and hung individually or as a set. Choose from the multi-colored or the terracotta set to better complement your wall. Installation hardware is included.